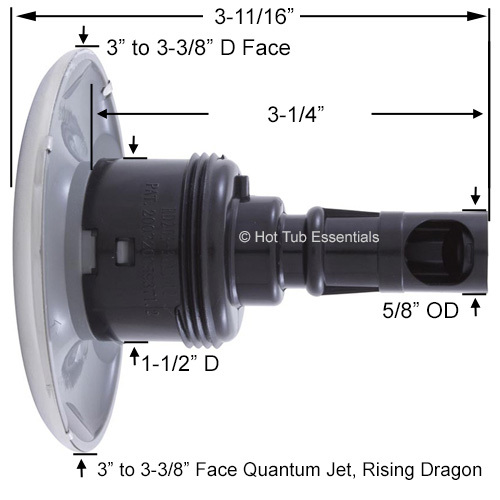 3" to 3-3/8" Face (all are interchangeable) Quantum Jet Inserts by Rising Dragon. Available in Directional (Black), Pulse (Black) & Twin Pulse (Black or Stainless Steel). If you're replacing older Snap-In Style Jet Inserts (no longer made), you also need a Screw-In Adapter for each jet you replace.